Five months after the Cassini spacecraft's fiery burnup in Saturn's atmosphere, the mission continues to make remarkable discoveries about the gas giant planet and its entourage of fascinating moons. A trove of data sent back to Earth over Cassini's productive 13-year career remain as digital unexplored territory that scientists continue to investigate. 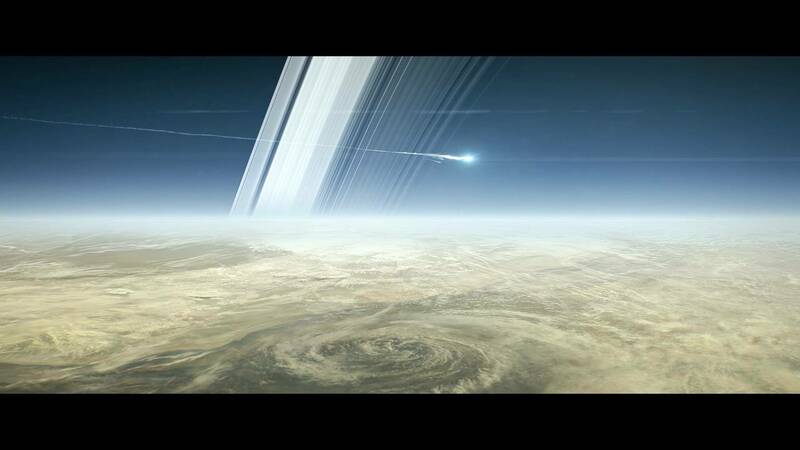 It will be many years before another Saturn mission is mounted, and Cassini's posthumous bequest of data will not only deliver further rewards, it may help shape that next mission's scientific goals. The latest discovery comes from Saturn's largest moon, Titan, and adds to an impressive list of similarities between this small world and the planet Earth. Precision measurements of the surface elevations of Titan's three large liquid-methane seas reveal that they share a common "sea level." That may not sound remarkable — until you learn that these three seas, unlike the four contiguous oceans on Earth, are not physically connected on the surface, but separated by dry land. It may sound like a page from a far-out science fiction novel, but the fact that there is liquid flowing on Titan's surface (and falling from its skies) is not new information. Inspiring to the imagination, yes, but not new. Early in Cassini's mission following its 2004 arrival at Saturn, the Cassini spacecraft, as well as the European Huygens probe it sent to Titan's surface, discovered networks of what looked like drainage channels feeding into wide, flat areas — later confirmed to be lakes and seas. At Titan's surface temperature of minus 290 degrees Fahrenheit, it was obvious that these were not rivers and seas of liquid water, but cryogenic liquid hydrocarbons, mainly methane and ethane. Flashes of sunlight reflecting from sea surfaces also helped confirm the presence of the surface liquid. Further measurements of Titan's atmosphere and its thick layer of hydrocarbon haze (natural smog) revealed a complete liquid cycle of precipitation (methane rain! ), runoff, and pooling. In addition to the larger lakes and seas, smaller "alpine" lakes were detected at higher elevations, in Titan's mountains. Is Titan's Crust Porous, Like a Sponge? 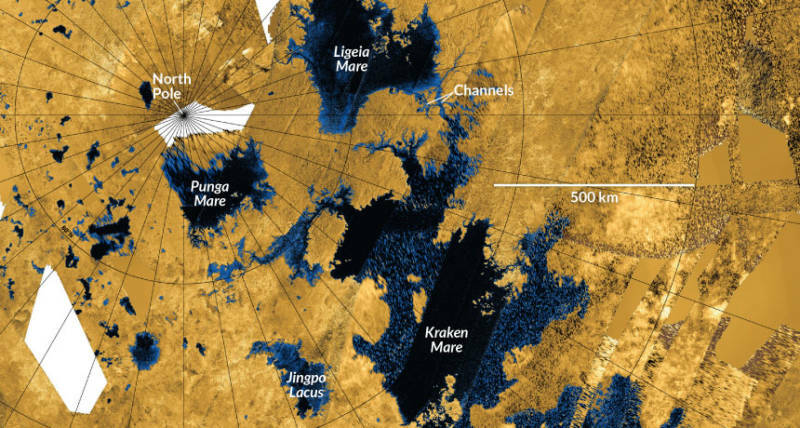 Now, after over 13 years and 127 flybys of Titan, Cassini has revealed that Titan's three large seas, Kraken Mare, Ligeia Mare, and Punga Mare, all share a common surface sea level, even though they appear physically separated by dry land—bedrock of water ice and frozen hydrocarbon compounds. Earth's oceans are physically connected at the surface, forming one global body of water whose surface naturally seeks a common "equipotential surface" shaped by the forces of Earth's gravity and rotation. Explaining Titan's common sea level requires scratching beneath the surface a bit. Lacking any visible connections on the surface, Titan's seas must be connected underground, maybe through a system of aquifers or networks of caves. 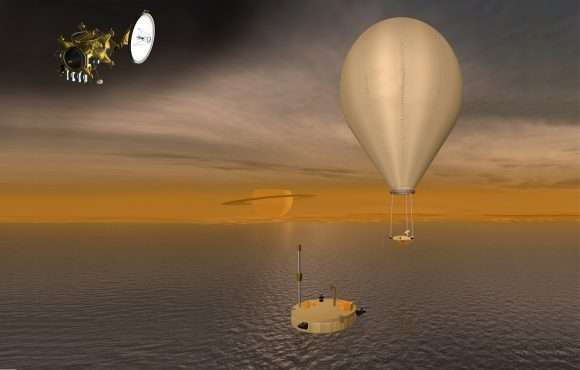 While this liquid-leveling interaction between Titan's seas may function differently than in Earth's oceans, there is a connection to be made to some of Earth's lakes. While lakes can be found at many different elevations above sea level on Earth (and Titan, for that matter), some pairs and groups of adjacent terrestrial lakes share common surface levels by "communicating" with each other through underground caves, aquifers, and ground water tables. 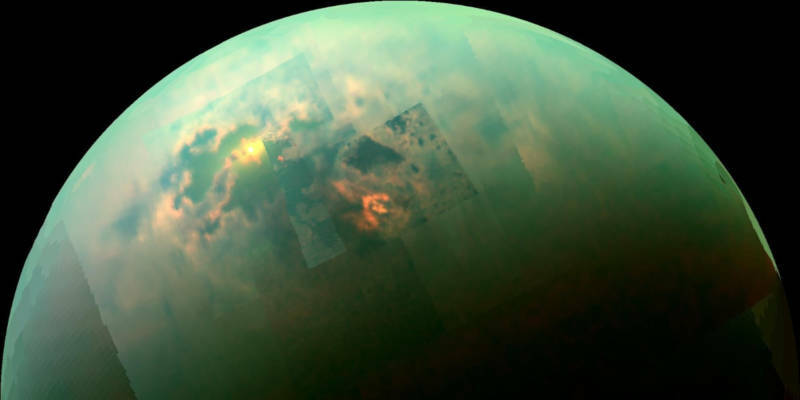 So not only has Cassini revealed something new about Titan from beyond the grave, the implications of the discovery tell us something about the composition and structure in Titan's crust, beneath the surface: it is liquid-permeable over the vast region on which its three large seas rest. It's also a reminder that while Titan may resemble Earth in several ways, it's also a very alien world whose bedrock is water ice and frozen hydrocarbons and whose clouds, rain, rivers, lakes and seas are a frigid liquefied form of natural gas.